ERBIL, Kurdistan Region – Iraqi President Barham Salih and Jeanine Hennis, head of the UN mission in Iraq, visited the site of a mass grave thought to contain the remains of Kurdish victims of Saddam Hussein’s Anfal campaign in Iraq’s southern Muthanna province on Sunday. 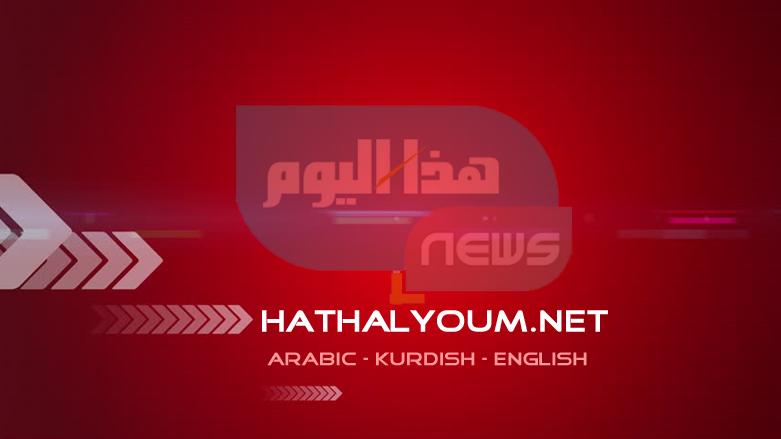 Although the identity of those buried at the site has not yet been independently verified, several officials including Kurdistan Region Deputy Prime Minister Qubad Talabani say they believe the mass grave contains the remains of Kurdish victims of the Anfal campaign.In a video published by his office late Sunday, coinciding with Anfal Memorial Day, Iraqi President Salih said the Baathist ideology of the Saddam era must not return to Iraq.Photo: Iraq Presidency “This crime is a war crime and genocide perpetuated against a nation, their men, women, the elderly and children,” Salih said, speaking on a podium near the site of the suspected mass grave on Sunday. “The people of Kurdistan and the families of the Anfal victims in Chamchamal, Garmiyan, in the Jaf valleys, and in Barzan, and the families of the victims in Mahawil [in Babil], the marshes and Samawa are the same case.”“The crimes of the previous regime against the people of Kurdistan are unforgettable crimes. They were a big crime against humanity to eradicate the existence the identity and nation of Kurdistan,” he said.“Saddamite Baathism” must not return to Iraq, the Iraqi president said, adding Saddam got the punishment he deserved.Saddam was deposed following a US-led invasion in 2003. He was convicted of crimes against humanity by the Iraqi Special Tribunal and hanged in 2006. Photo: Iraq Presidency Salih said he hopes the remains found at the Muthanna site will be returned to their homeland as soon as possible.In a statement tweeted by the United Nations Assistance Mission for Iraq (UNAMI), UN SRSG Jeanine Hennis said: “It is remarkable that a few decades ago the president was dealing with his people in such a way we are finding out here today, and today we are here with President Salih and the ICRC to deal with the horrific events of the past, to do justice.” Speaking to Rudaw on Sunday, Musa Ahmed, head of the Barzani Charity Foundation (BCF), cast light on how the grave was discovered. 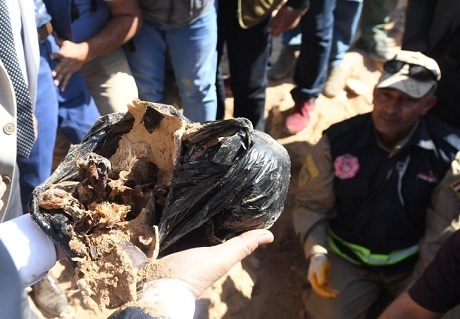 A delegation of BCF officials visited Basra and Muthanna on January 1, 2019 to urge authorities to do more to investigate the site of suspected mass graves, Ahmed said. A meeting followed on March 12 between the newly appointed Muthanna governor Ahmed Manfi Jawda and Kurdistan Democratic Party (KDP) leader Masoud Barzani. Photo: Iraq Presidency According to a statement from his office, Barzani urged the Muthanna governor to bolster efforts to uncover the gravesites and to coordinate with the Kurdistan Regional Government (KRG) and the BCF. “In the past few days, the governor called us, telling us they had succeeded in their search efforts for the corpses of the Anfal mass graves,” Ahmed said.A joint committee has been formed between the BCF and Muthanna Governorate officials. The victims seem to be from Garmiyan, Ahmed added.At least 182,000 Kurds were systematically executed by Saddam Hussein’s Baath regime in the late 1980s. Many thousands were taken to Iraq’s southern desert provinces where they were killed and buried en masse. The Anfal campaign took place over eight phases – beginning in 1986, reaching its peak in 1988, and culminating in the closing weeks of the Iran-Iraq war (1980-88).Anfal, the eighth sura in the Quran, was the codename used by the Baathist regime for the slaughter.